Have you ever wanted to include information such as a departmental head count, hours, or units produced on your financial reports? If so, Statistical Accounts are what you need. Statistical Accounts can be very helpful for Dynamics 365 for Finance and Operations users from a reporting standpoint. 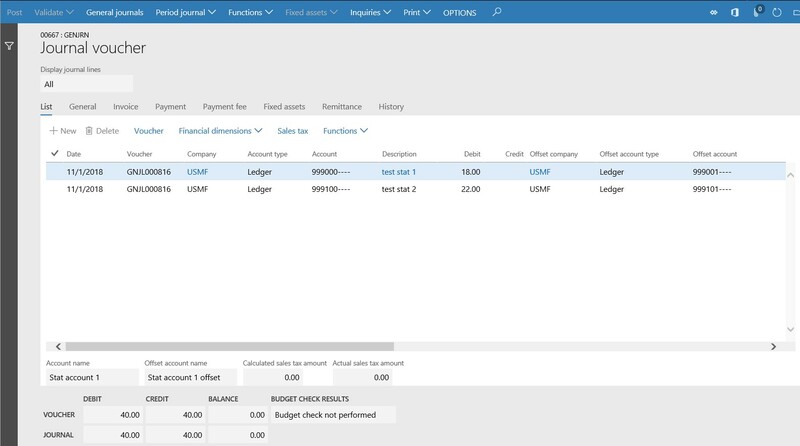 Posted transactions using Statistical Accounts will allow users to pull data into Dynamics 365 Finance and Operations Financial Reporter. This data can be used to create reports that track performance, measure productivity or other information that you might use for reporting purposes, and to perform calculations on the financial reports. The Microsoft recommended approach is to start the account numbers with a “9” so that it is easier to separate them from financial accounts. This way you can easily identify the non-financial accounts and to run reports against them using an account range. A customer that I worked with chose to end the account number with a 9 so that the Statistical Account could be grouped with its corresponding financial account within the account listings. This will still allow you to filter the accounts within your reports, but makes it a bit harder to do as the accounts will not be numbered sequentially. This may increase the number of characters in the Main Account field as you will also need to identify the financial accounts with a specific character. This is a valid option, but you need to realize the implications this will have on your reporting options. Do you want to have the amounts reset to zero at the end of the year? Or maybe you don’t? This will determine what you will select as the Main Account type; either Balance Sheet or Profit and Loss. Main Account type must be the same for the Statistical Account and its corresponding Offset account. Each Statistical Account will need the offset account filled in with a Statistical Offset account so that when you create a journal entry and use a Statistical Account, the entries will automatically balance. This will ensure a net 0 impact on the Trial Balance and to Retained Earnings at Year End. 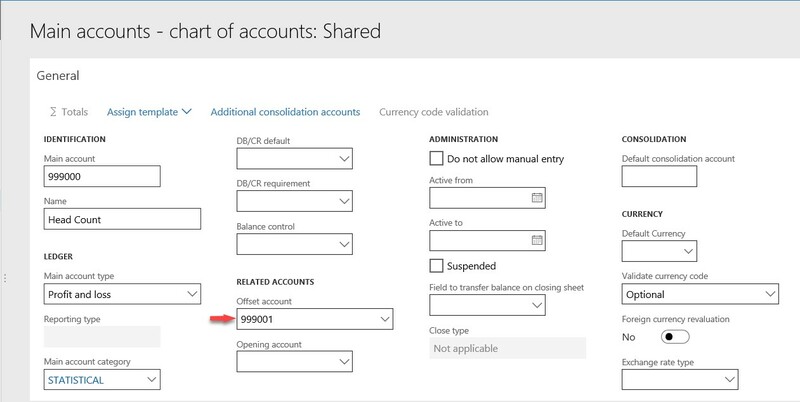 Make sure to confirm that any new accounts being added are included in the valid account structures in the ledger setup. If you have any questions about Dynamics 365 for Finance and Operations, please contact us. Adriane Sobkowich is a CPA, CGA and trusted Business Solutions Analyst for Encore, specializing in Microsoft Dynamics AX. She combines her deep financial knowledge and Microsoft Dynamics expertise to help customers understand and analyze their business needs, align their technology to their requirements and keep their projects on time and on budget.